A common theme I've noticed in many "big-beat" songs and the electronic genre, especially songs by British artists, is to use voice-samples of a particular American accent, or imitiate this accent if the music artist is doing their own vocals. An example of it can be heard in this Underworld song "Push Downstairs" from time 1:01. I have a personal mental association of the accent with 1970s Vegas culture: I visualize a thin (not overweight) MC at a mid-market casino or event wearing a 10-gallon hat and bola-tie and sideburns talking with this accent (looking like Bob from Bob's RV Roundup. This mental association might be from someone I saw on TV that spoke like this (Bob himself sounds almost similar, I note - but I wouldn't describe it as a "cowboy accent"). 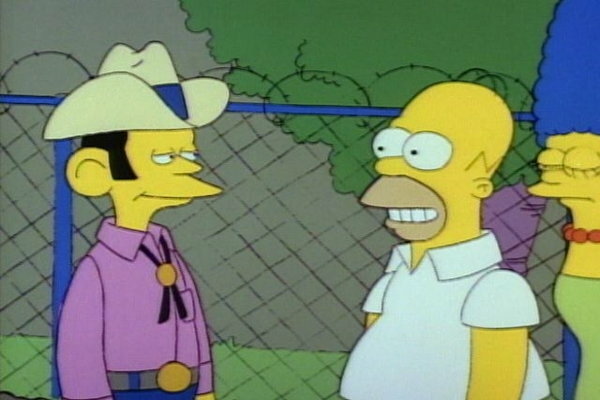 Having been to Vegas in person, and as a 4-year resident of the US West Coast, I can't say I've ever heard this accent spoken by a person in real-life. So where is it from? Is it a real accent with a geographical or historical basis - or a manufactured accent like the Mid-Atlantic accent? You are correct in associating that manner of speaking with Las Vegas, as it recalls visions of b&w autographed celebrity portraits, wood-paneled walls, candlelit tables, and over-sized red velvet booths, straddling a complimentary all you can eat buffet. An olfactory entree of steaming lobster tail and breaded veal cutlet served with a melange of ambergris-based perfumes, drizzled with a delicate compote of cigarettes and the occasional pipe tobacco, flambeed table-side with cheap liquors. Ah...Vegas. 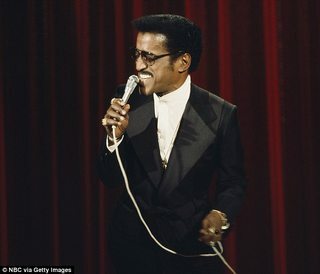 Only your timing needs adjustment, as the "source" for that sound I suspect is Sammy Davis Jr. A blend of Harlem, New York-born Afro-American accent, with a Puerto Rican influenced metre, late 50's-60's hipster vocab, alcohol intoxication, and cool. Served by a bar or poolside only, via Sennheiser microphone. If it had a name, I suppose it would be a "Candyman Lounge" accent. Look up "Sammy's Visit" on "All in the Family" on youtube for a very old and still very funny episode. YouTube clip: Rat Pack, Frank- Dean- Sammy- 1965. Good examples at 1:13:00.